When I was a second-grader in Tokyo, a large earthquake struck during school hours. My classmates and I had been through enough drills, as well as actual quakes, to know what to do, and got under our desks to wait it out. But this earthquake was different from the others: instead of shaking the building, it made it sway like a pendulum. The intensity of the swaying increased until the classroom felt like a boat on rough seas. When it finally stopped, we got out from under our desks and, after calming down, finished out the day as usual. Later we learned the earthquake’s epicenter had been on the coast south of Tokyo, and that a school there had collapsed, crushing the children inside. Since then, I’ve lived both in the Bay Area and in Los Angeles, going through earthquakes of various sizes and types. The Northridge Earthquake was probably the most violent, knocking down the brick wall and cracking the base of the chimney in the house where I lived at the time. (The chimney turned out to be supporting the entire house–but that’s another story.) But what I remember most about the Northridge Quake is that my young son and I stayed calm as the house shook violently, while my boyfriend at the time screamed and cried hysterically at each jolt. He wasn’t much better after the earthquake: despite the fact that there was no electricity or phone service, he kept switching on the TV and trying to use the phone. Downed power lines crackled outside, yet he was determined to jump in his car and drive back to Santa Monica. If I hadn’t stopped him, he would have gone–probably via the 10, which had collapsed. The point is, staying calm is essential in a natural disaster. In Japan, accounts of level-headedness during the recent Tohoku Earthquake abound: despite its 5-minute duration, people did as they were taught in drills, taking cover and remaining calm under duress. The tsunami was a somewhat different story, since it’s hard not to panic in the face of a rapidly approaching 30-foot wall of water. Yet in seaside towns, there were instances of incredible bravery: a man carrying an old woman–who somehow remained calm–up a flight of stairs after the water rose to her nose; a teenage boy who leapt from rooftop to rooftop as the wave surged through his town. During: Get on the floor, away from windows and stairs. Standing in a doorway is not safe, despite what we were told. Taking shelter under a sturdy piece of furniture will protect you from falling objects. It’s unlikely that your building will collapse, so Doug Copp’s “Triangle of Life”–which dictates getting alongside large objects to create a safe space and air pocket for yourself–isn’t as helpful here as it would be in a place like Haiti. You’re much more likely to be hit by books and artwork, so stay under the desk. If you’re in the car, try to pull over and stop, avoiding power lines, tunnels and bridges. Stay in the car until it’s over. After: This involves advance planning. You should know beforehand where family members will meet in the absence of phone communication. Chances are that power and phone lines won’t be working for hours or days, so it’s important to have flashlights, extra batteries and a radio that runs on batteries or alternative energy (solar or hand-cranked). You should have a wrench in order to turn off the gas at the meter. Last year, Los Angeles advised residents to prepare to fend for themselves for up to two weeks after a major earthquake–which means some serious provisioning. You will need at least 1 gallon of water per person, per day, as well as food that doesn’t require cooking. If you have cans, keep a can opener in the same place. If you have pets, you will need extra water as well as food for them. It’s a good idea to keep at least a half-tank of gas in the car at all times and–because credit cards depend on phone lines–some emergency cash. You can go much further, but these are the basics. Since March 11, much of my time and energy has been directed toward helping Japan, my childhood home. The horror of its trio of tragedies–earthquake, tsunami and nuclear disaster–has been deeply personal, with each new calamity a stab to my heart. (Yesterday’s news that Tokyo’s water was contaminated with radioactive iodine was a particularly low point, as Tokyo tap water was the best-tasting imaginable, far superior to most bottled water I’ve tried.) In the midst of this nightmare, the only bright notes have been the accounts of cooperation, bravery and resourcefulness of victims in the stricken Tohoku region, as well as the stoicism shown by people elsewhere, including Tokyo. My friends there are not only safe, but calm. And, as far as I know, there have been no instances of looting or violence anywhere in Japan, however desperate the situation. 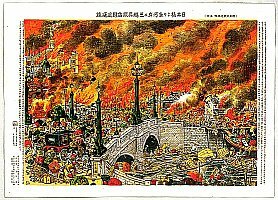 I grew up with stories of the Great Kanto Earthquake and Fire of 1923. 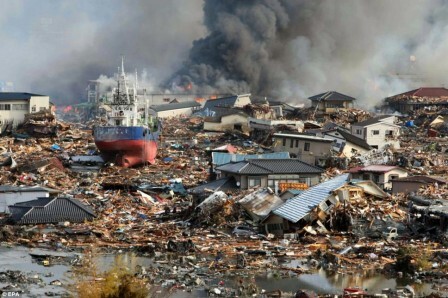 That catastrophe began with a 7.9 earthquake that flattened buildings from central Tokyo to the port of Yokohama. Because it struck just before noon, a vast stretch of the Kanto Plain was soon engulfed in flames from thousands of charcoal stoves. 140,000 people died, many more from the fires than the massive earthquake. In Tokyo, streets buckled and broke; a family friend, a schoolboy at the time, saw a mother and her baby disappear into a deep fissure that opened under her feet. The aftermath of 1923 brought about not only stricter building codes but disaster-preparedness drills for all segments of society. To this day, Japanese businesses, schools and neighborhoods hold annual drills, and areas vulnerable to tsunami adhere to an even more rigorous warning system, with sirens tested daily. These measures undoubtably helped to keep the March 11 death toll below 20,000, with the vast majority of victims killed by the tsunami, not the earthquake. Whatever lies ahead, Japan will survive–and rebuild. In the meantime, the question is not if, but when the next mega-earthquake will strike. Geologists say such earthquakes historically occur in clusters: the San Francisco Earthquake of 1906 was one of a group of major quakes. If the current sequence began with the Chile earthquake of 2010 and continued with this year’s quakes in New Zealand and Japan, the obvious next stop would be the West Coast of the United States. Next time: preparing for the Big One. 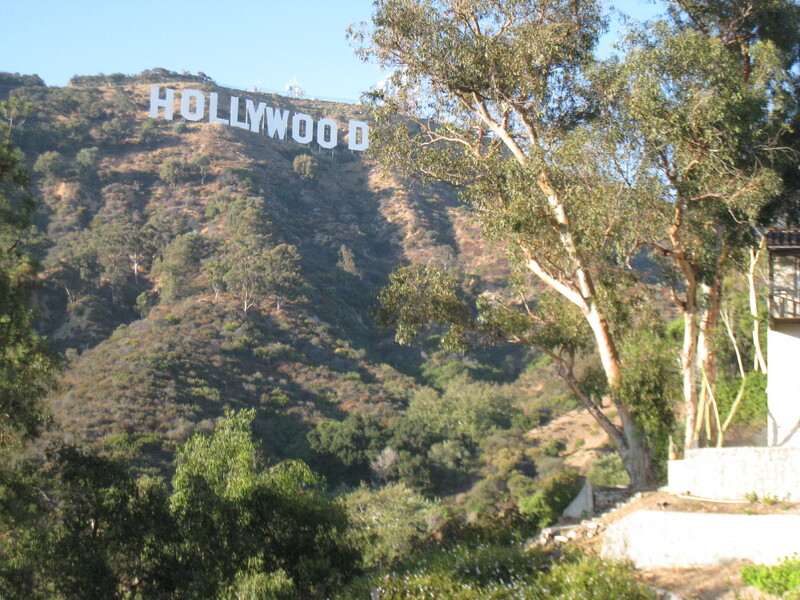 A few Sundays ago, my visiting sister–after countless cars roared by the house on their way towards the Sign–remarked, “I couldn’t care less about seeing the Hollywood Sign.” If only more people felt the same way. A couple of warm days have given us a taste of the chaos to come in tourist traffic. Yesterday at about 4:30pm, I was driving up Beachwood by the Glens when a woman in pink not only ran into traffic but zig-zagged through moving cars in both lanes, shrieking and laughing as she was photographed. I hit the horn and then the brakes, but she was still running around in the street as I passed. I can only assume this is a Sign-induced variation on Stendahl Syndrome, and I pray it’s not catching. Later, after finishing a hike, I came upon the following shoots wrapping up on Mulholland Highway: a music video featuring a French male singer and two female back-ups, and one featuring a guy in what appeared to be a bear suit. Except perhaps for the bear suit, none of this was unusual. Earlier in the week, as I dodged tourists at the Lake Hollywood Lookout, I nearly ran over a photographer who was in the street shooting a model in a vintage convertible. The convertible blocked Mulholland Highway at the intersection of Canyon Lake Drive, creating a very dangerous situation for cars moving in both directions. Naturally, there was no one directing traffic. As none of these people pay fees of any kind–film crews of six or fewer people are exempt from permits, and still photography doesn’t require them–shoots like these go on every day. 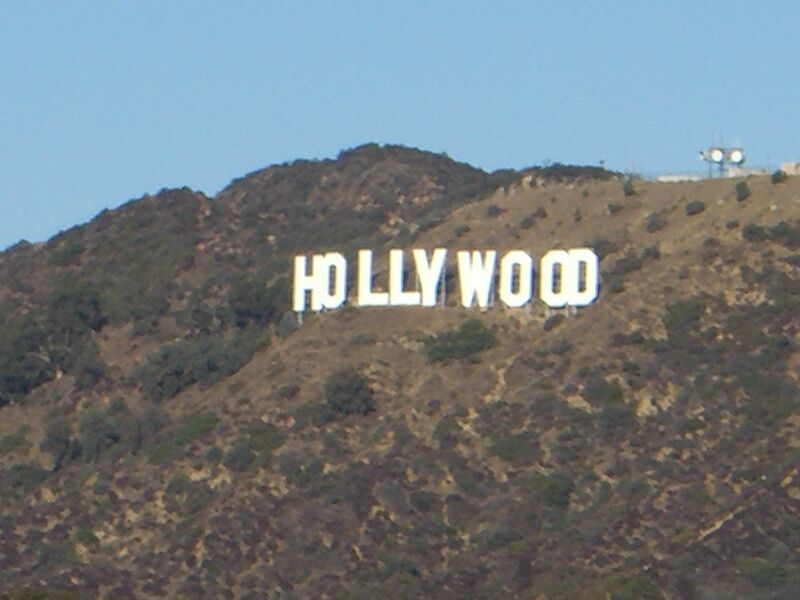 Hollywood’s famous sign, constructed of massive white block letters set into a steep hillside, is an emblem of the movie capital it looms over and an international symbol of glamour and star power. To so many who see its image, the sign represents the earthly home of that otherwise ethereal world of fame, stardom and celebrity–the goal of American and worldwide aspiration to be in the limelight, to be, like the Hollywood sign itself, instantly recognizable. 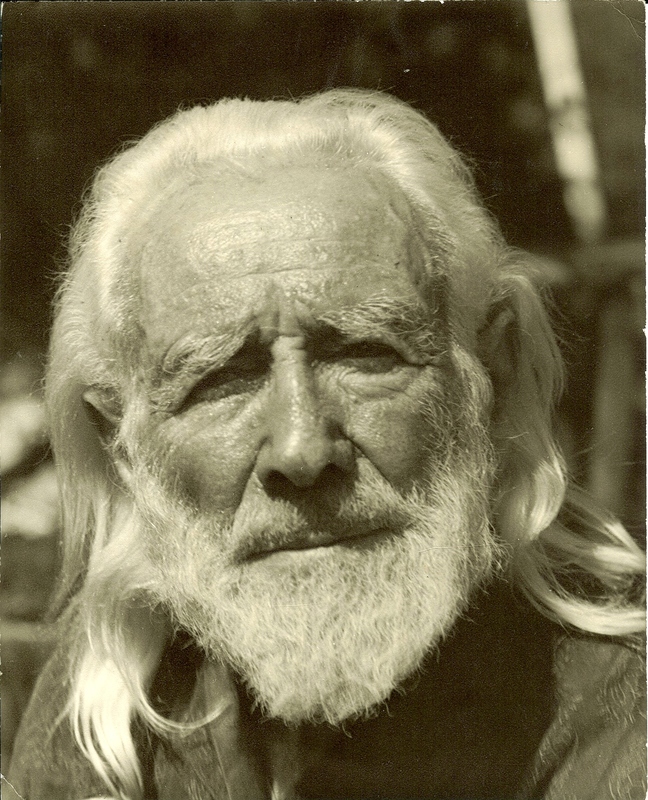 Leo Braudy is currently University Professor and Leo S. Bing Chair in English and American Literature at the University of Southern California and was recently inducted into the American Academy of Arts and Sciences. From late 2006 until early 2009, I conducted interviews and shot footage for “Under the Hollywood Sign,” my documentary on the history and culture of Beachwood Canyon. Some of that footage showed the Hollywood Sign, whose history I traced from its beginnings as a billboard in 1923 to its rebuilding in 1978 and beyond. I also filmed, with the permission of the Hollywood Sign Trust, at the Sign itself. During the 2 1/2 years I worked on this project, I worried that my neighbors would object to the attention my work might bring to the area. But no one ever did–until last Tuesday night’s meeting of the Hollywoodland Homeowners Association. As the meeting ended, a woman approached me and said, “Hope, I’ve heard your video encourages people to climb to the Sign.” “That’s absolutely untrue,” I said, explaining that while I had documented people climbing to the Sign, I was a bystander who had nothing to do with their decision. (On one occasion, I showed up at a legal spot to shoot b-roll and was amazed to see three people at the base of the Sign, and a couple on their way up.) But what I was thinking was, if I had made a documentary about Afghanistan, would she accuse me of promoting warfare? And shouldn’t she have watched it before insinuating this? I might have pointed out that “Under the Hollywood Sign,” which to date has not been broadcast, has been seen mostly by people who live in the neighborhood, and that it clearly states that climbing to the Sign is illegal. While additional viewers have seen my YouTube channel, my clips show up alongside many other people’s videos of the Hollywood Sign, including some that promote climbing to it. Nevertheless, it’s true that in the 5 years I’ve lived in Hollywoodland, tourist traffic has increased noticeably. My opinion–shared by many–is that the ubiquity of GPS and the recent advent of small, open tour vans are the main causes. Previously, tourists without cars would take the Starlines trolley bus as far as Beachwood Village. Now they can take a van up the residential streets near the Sign where they stop for pictures–and create gridlock. You are currently viewing the archives for March, 2011 at Under the Hollywood Sign.